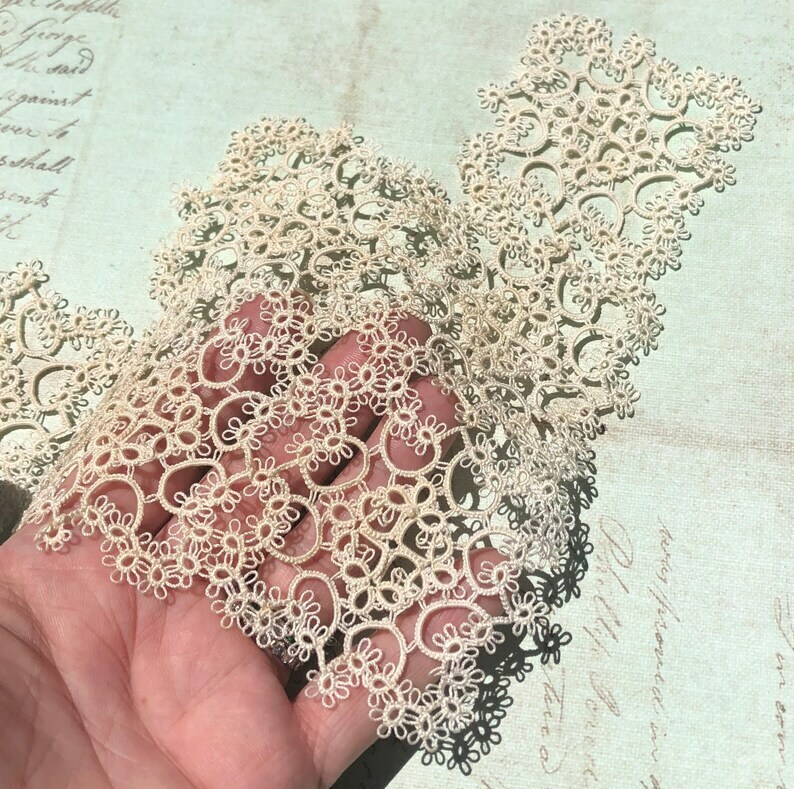 These is a really lovely vintage cotton tatted lace piece. Detailed and beautiful! Perfect for your crafting, scrapbooking and altered art projects! Each piece measures approximately 9 inches across and 6 inches wide. This tatting is in very good condition, with just a bit of age discoloration.